A Tragedy of Fashion proved to be a pivotal moment in the history of ballet when it debuted in London in 1926. 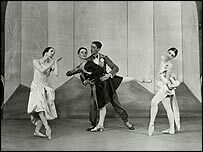 Not only did the ballet launch the fledgling Rambert Dance Company, as it would come to be known, it also set Sir Frederick Ashton on a career path that would define 20th Century English ballet. Sir Frederick's creative spark for choreography was nurtured by Marie Rambert when he joined the company at the age of 21. 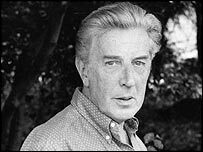 By the time of his death in 1988, Sir Frederick had brought a new level of artistry to the lyrical style of classical dancing in ballets such as La Fille mal Gardee, Cinderella and Ondine. Now, 100 years after Ashton's birth, the Rambert have reinterpreted and restyled A Tragedy of Fashion in honour of his centenary year. Incomplete records of the original ballet meant it could not be faithfully reconstructed so choreographer Ian Spink spent months researching Sir Frederick's piece. He used scraps of archives and precious photographs to reinterpret the ballet with a contemporary edge. Mr Spink told BBC News Online: "I was given a certain amount of freedom using as much of the original as possible as a starting point for the reinterpretation. "I spent six months researching the ballet, including working with the archive people at Rambert who showed me some old footage of Ashton, and in the archives at the Royal Ballet. "Overall, our new tragedy is about fashion, art and suicide. "We have created a new scenario with references to the original and also to the creative influences and lifestyle of Ashton in the early decades of the 20th century." A Tragedy of Fashion is part of a mixed programme from Rambert which is due to open at Sadlers Wells, in London, on Tuesday. Amy Hollingsworth, coached by Lynn Seymour, will also restage Five Brahms Waltzes in the Manner of Isadora Duncan, the role created for Seymour by Ashton in 1976 to celebrate Rambert's 50th anniversary. Works by Rafael Bonachela, Fin Walker and Ben Park complete the programme, which will also tour in Oxford, Birmingham and Glasgow. Mr Spink, who has worked with the Australian Ballet, Australian Dance Theatre and Dance Company among others, said meeting Seymour had given him an added insight into the way Ashton worked. "Ashton was already there in my blood but the process on working on this piece has made me look at his work with new eyes and I have learned a lot about him," he said. "Ashton had a particular way of working with the dancers and in a sense he allowed them to 'own' the dance. "He was not necessarily someone who imposed his way on people but managed to draw certain qualities out of them. "Lynn Seymour gave me a very strong sense of how Ashton worked with her and it was very illuminating for me to see that." The original Tragedy of Fashion, which starred Sir Frederick himself and Marie Rambert, who danced the sexually deviant Ochidee, told the story of the fashion world in the Roaring Twenties. The ballet was inspired by an incident recounted in the letters of Madame de Sevigne in which the French chef, Vatel, killed himself for shame when the fish arrived too late for a banquet for Louis XIV. When the ballet debuted at the Hammersmith Lyric Theatre with six dancers, it lasted around 15 minutes and featured music by Eugene Goossens. The contemporary reinterpretation has swelled to accommodate 19 dancers with new "mad and infectious" music by Elena Kats-Chernin. Mr Spink added: "The music is more dynamic and there is a strong Latin American influence which is appropriate as Ashton was born in South America and has this Tango influence in his early works. "I hope people will enjoy it on many levels." 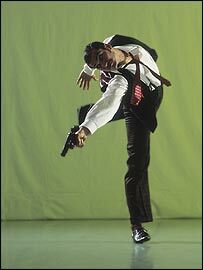 The Royal Ballet will also be paying homage to Sir Frederick in its 2004/2005 season, which starts in the autumn. Their mixed programme includes one of Ashton's early ballets, A Wedding Bouquet, along with Sylvia, and Daphnis and Chloe. At Christmas, the company will perform La Fille mal Gardee, one of Ashton's most endearing and well-loved ballets. A Tragedy of Fashion - Sadler's Wells 25-29 May, Birmingham 2-5 June, Oxford 9-12 June and Glasgow 15-16 June.